You’ll either really love me or really hate me for this, especially if you live in Seattle where it is currently under 40F and raining, and are not at the Spring Training games. Friend, photographer, and super-awesome lady Jen Howson and her husband are down in Arizona right now. I had requested some photos thinking I’d get like maybe 3 or 4 to pepper the previous post with. I don’t really like taking pictures off the AP Wire, because anyone can do that, and I really prefer to get things from the fan angle, because fans often take pictures from the vantage point of their fandom, rather than that of a paid photographer (not that anything is wrong with the AP Wire, it’s just a little more sterile). But Jen went above and way beyond the call of duty, so I present you today’s events, in glorious digital color. I hope you enjoy them as much as I did upon finding them nestled in my inbox. 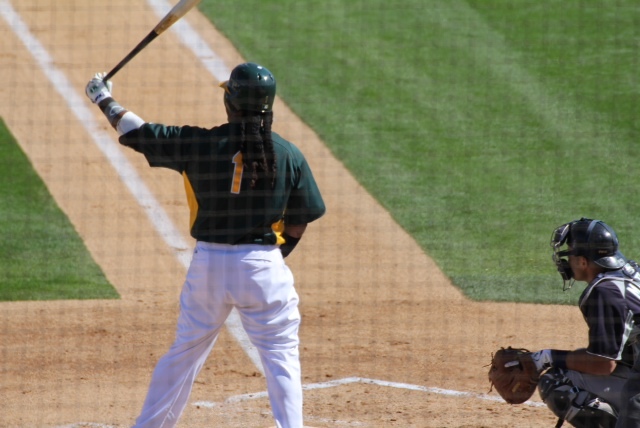 Manny Ramirez, being Manny Ramirez. 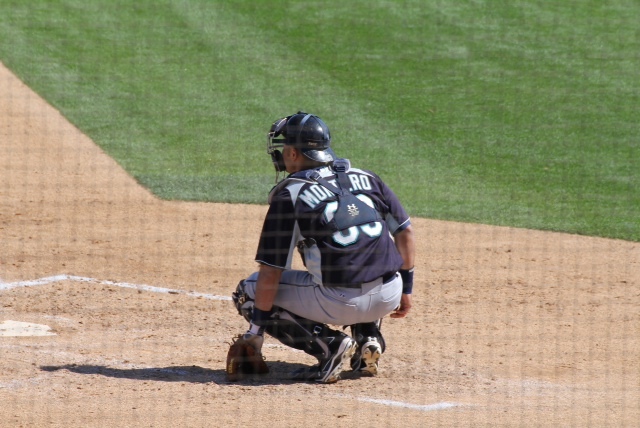 Jesus Montero behind the plate, presumably waiting to get beaned in the noggin. 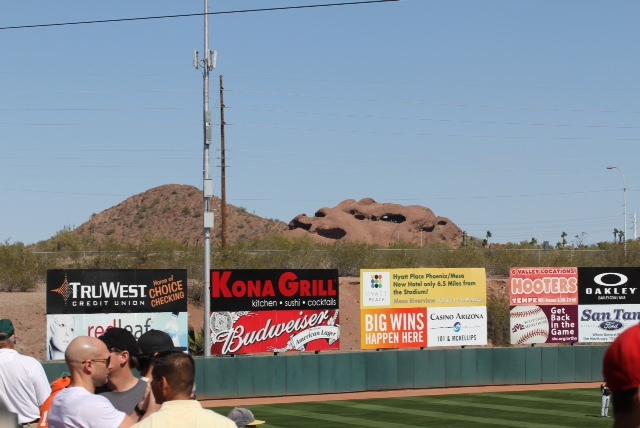 The outfield of glorious Phoenix Municipal Stadium. I don’t know about you, but I can nearly feel the warmth of the sun and the wind on my face. 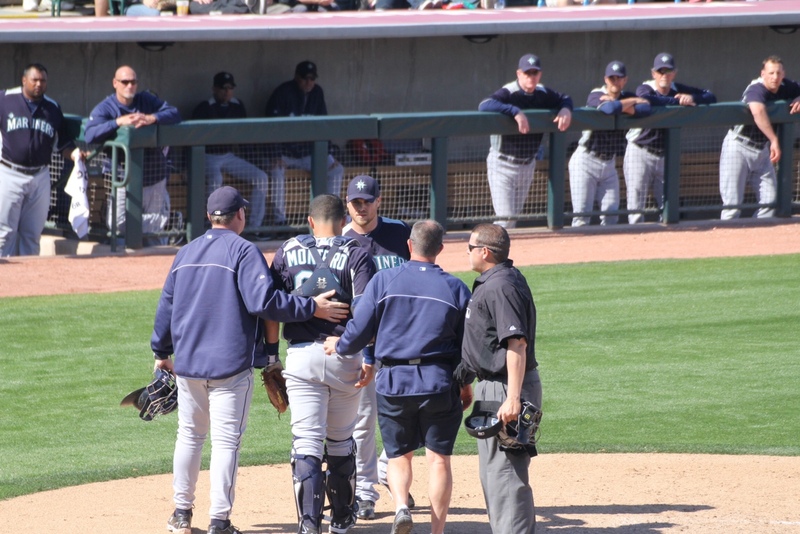 Oh, hurry and come to Seattle, baseball! 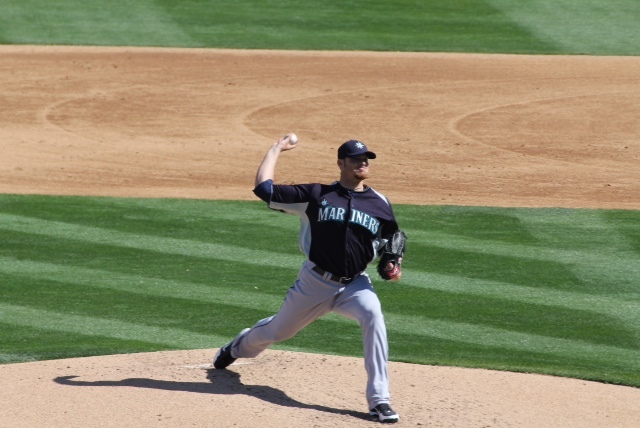 Blake Beavan, throwing what looks like a 2-seamer. 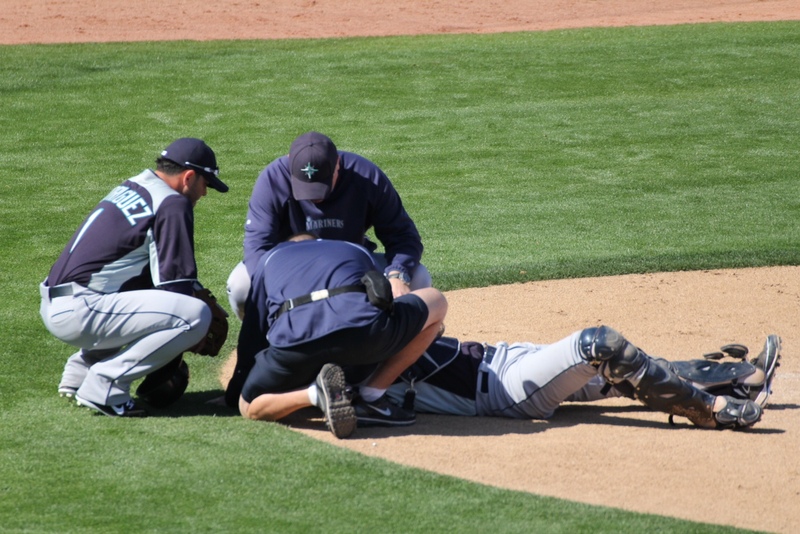 I understand Beavan’s Spring Training project is change-up. 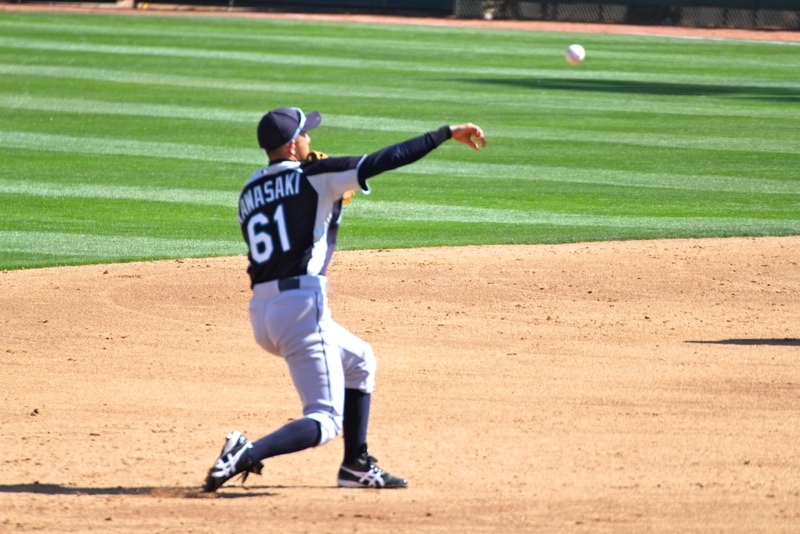 May he find it fast, and throw it well. 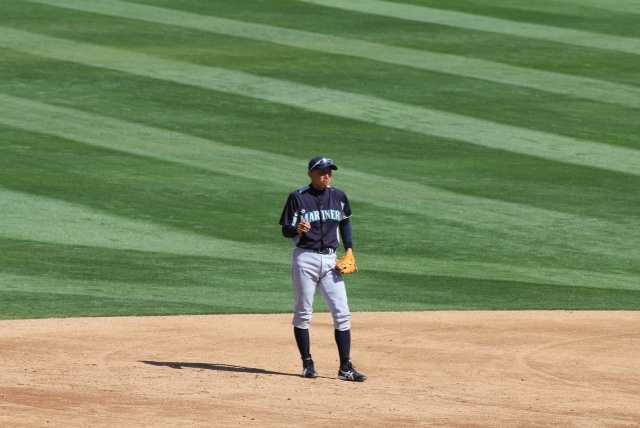 It’s time to play “Munenori Kawasaki, or Ichiro Suzuki?” Yes, of course it’s Kawasaki, but the resemblance is crazy uncanny. 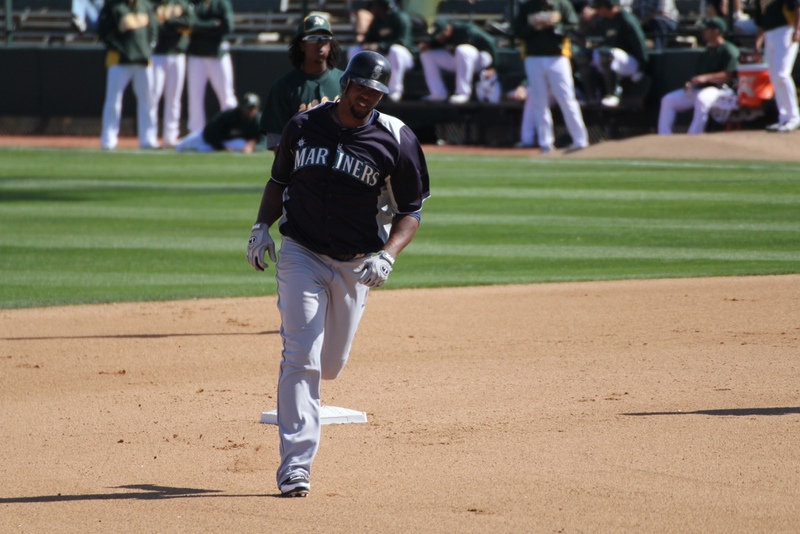 A lovely shot of Carlos Peguero, trotting around after his dinger. 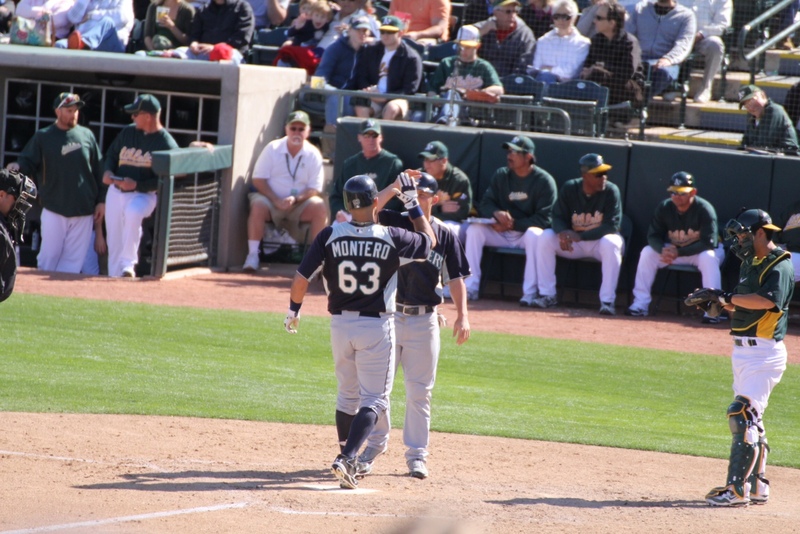 The next he is up to crowd applause, and John Jaso is called in to take his place behind the dish. 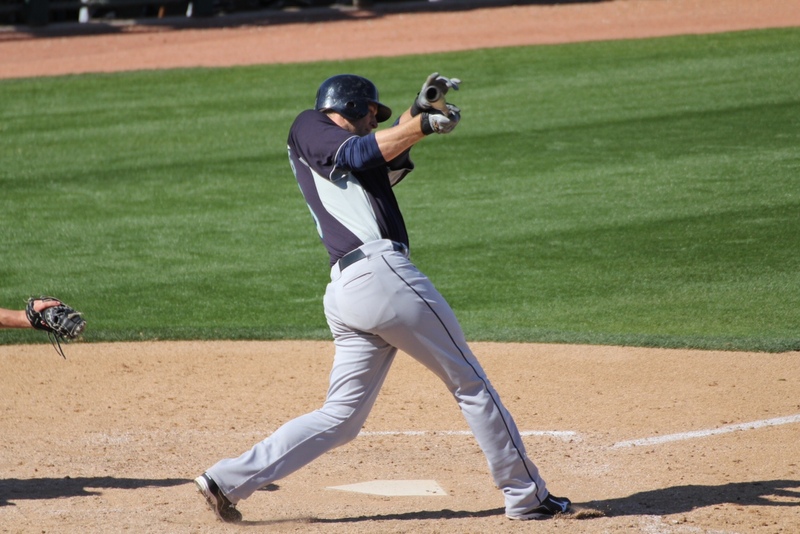 And Michael Saunders does some fine hitting with what is likely his new and improved swing. Massive props to Jen for helping me bring the game to the folks who read me. Fantastic photos that really bring the game to life, and make me wish I was there so much more than I did this morning before the game started. I will continue to post whatever she sends me, and do hope she has a lot of fun this month. You can follow her at the Twitter link above, I know she will be live-Tweeting photos and game experiences, and I am so so very jealous!